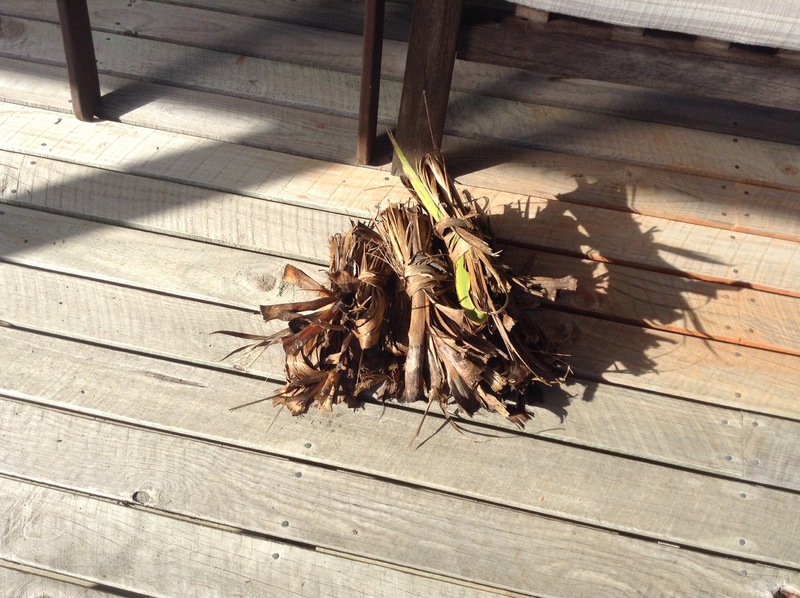 Oh dear, the corner of the deck looked a bit messy this this morning with a large pile of cabbage tree scattered over the floor. But don’t panic, we did not have a major storm or wild winds, nor was it a giant bird attempting to build a nest, it was just Roy! 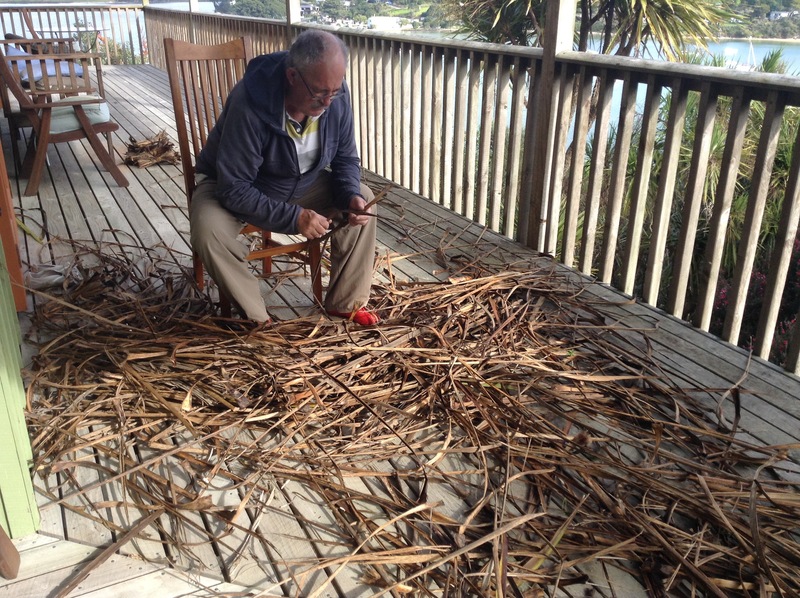 He had collected up a pile of cabbage tree leaves (cordyline Australis) from the paths the day before and spread them out on the deck to dry. You can just see a bit of one of the trees on the other side of the deck rail. 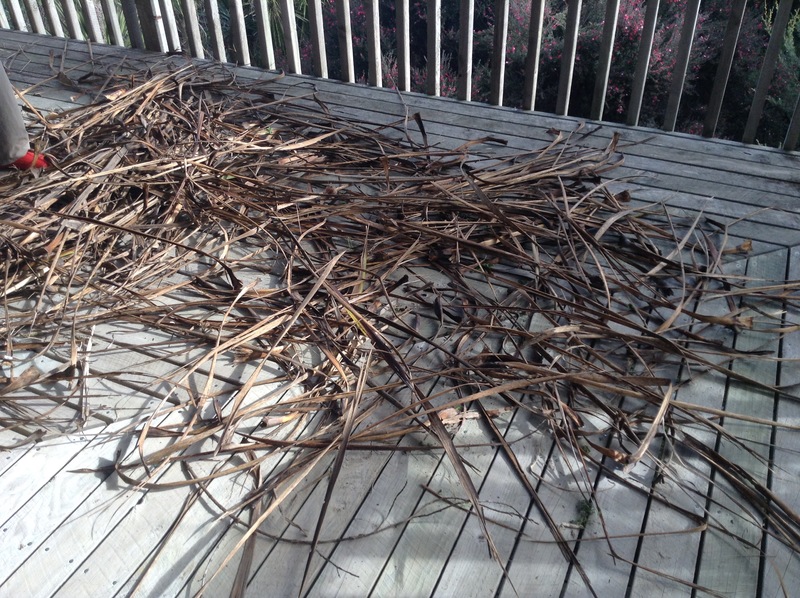 Once dry he tied them into bundles as they make great kindling/fire starters for the fire. They are not much good in the garden as they don’t break down and they are particularly strong and are especially annoying anywhere a lawnmower has to go as they are tough little b*****s and they tend to get caught up in the mower blades and wrap themselves into a tight knot around the blades choking them up causing the mower to stop. Then comes the painstakingly difficult task of trying to unwind them from the blade mechanics. The start of the neatly tied bundles. But tied into neat stacks they will serve as the perfect starter for the fire. 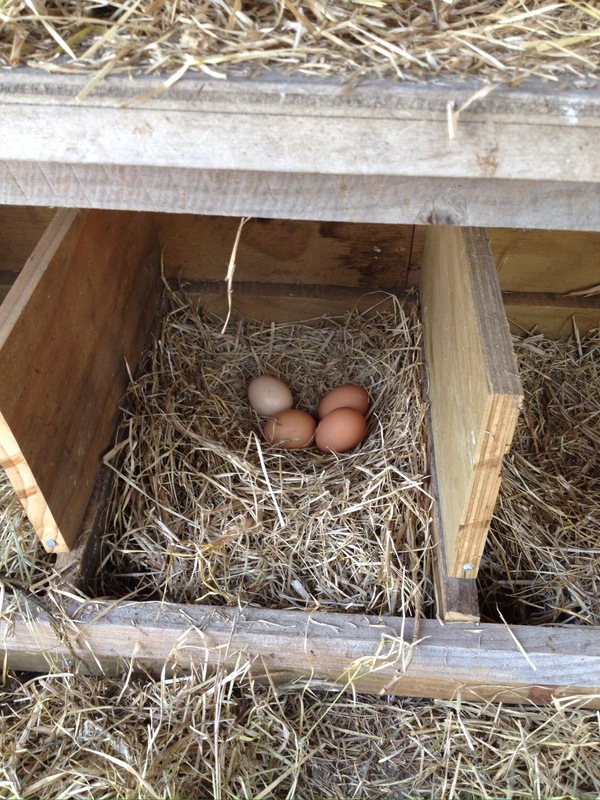 It all started so well, the hens got clean straw and I was rewarded with my daily haul of 4 fresh eggs. 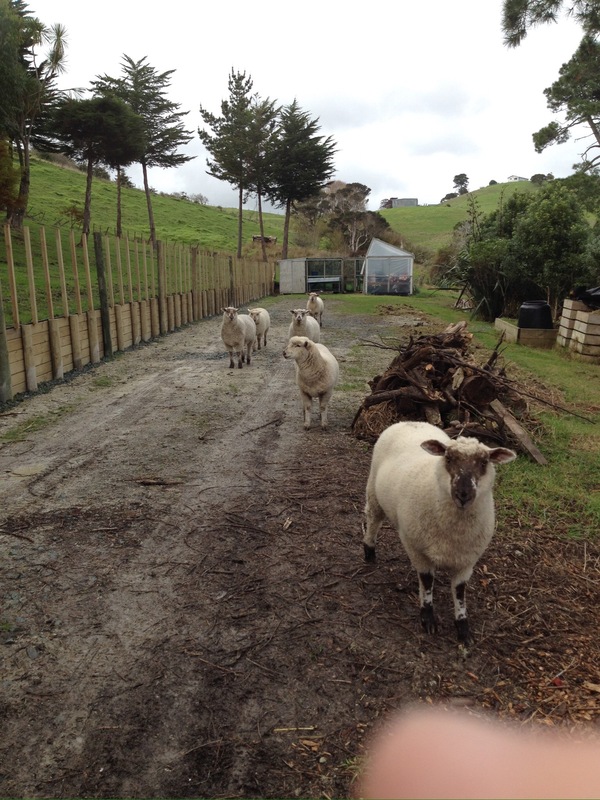 Then it was time to move the sheep to another paddock. First close the gate across the driveway in case any of the sheep try to make a break for freedom, open the gate into the new paddock, then get the sheep nuts to entice the sheep over the drive. All going well so far, the sheep have come running to greet me like a long lost friend. They almost seem to know better than I do of what to do and where to go. Open the gate and lead them into the new paddock, gosh, this is easy I think to myself, shut the gate behind the sheep and make sure the have water. See? That was easy. Make my way back to the gate to head back to the house, but the ground is very, very boggy, wet, sticky and slippery in this part of the paddock. What happened next was like something out of a cartoon, I was walking fast but getting nowhere. 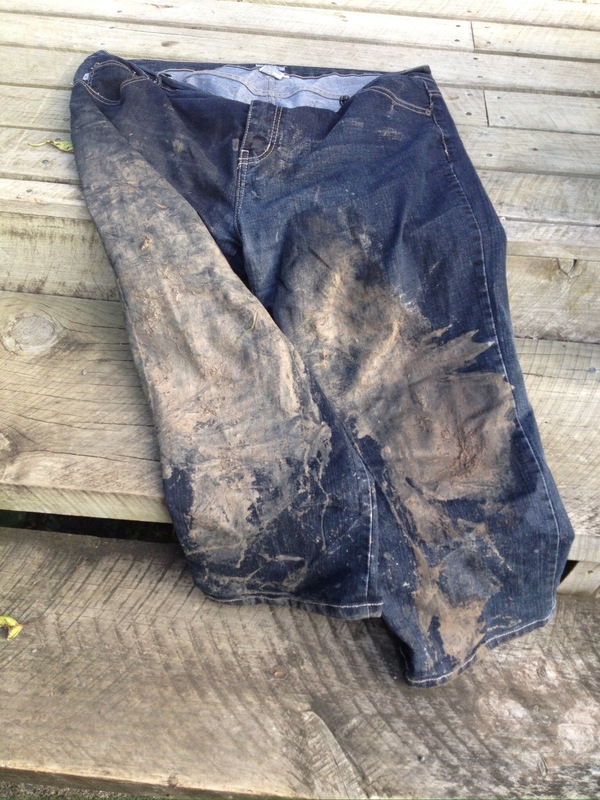 It was like I was on a big muddy treadmill which was going far too fast for my little legs to keep up. And you know what happened next don’t you? The clothing was hosed off before being put into the washing machine, and I cleaned myself off under a nice long hot shower. Note to self, avoid the mud. 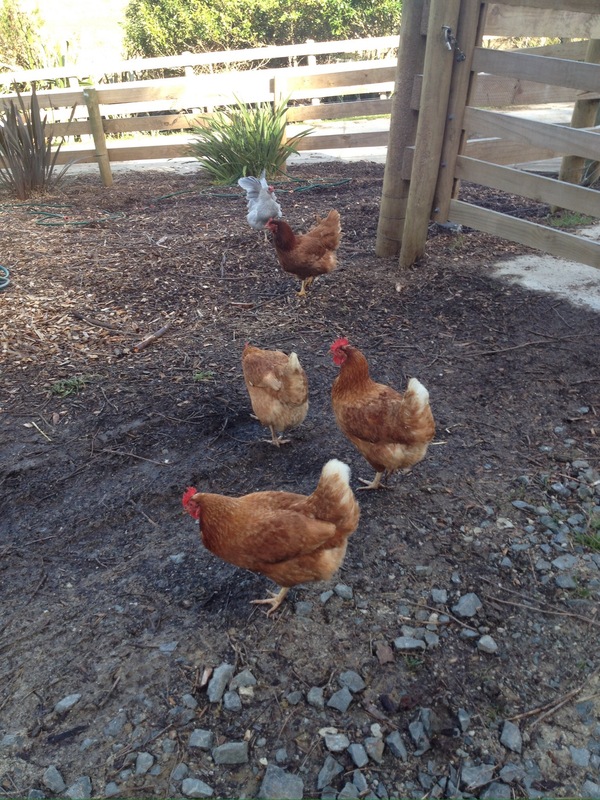 They cluck to let me know that they are pleased to see me, and they all come following me right into their house seemingly to make sure I fill up their food and water and clean out the straw. 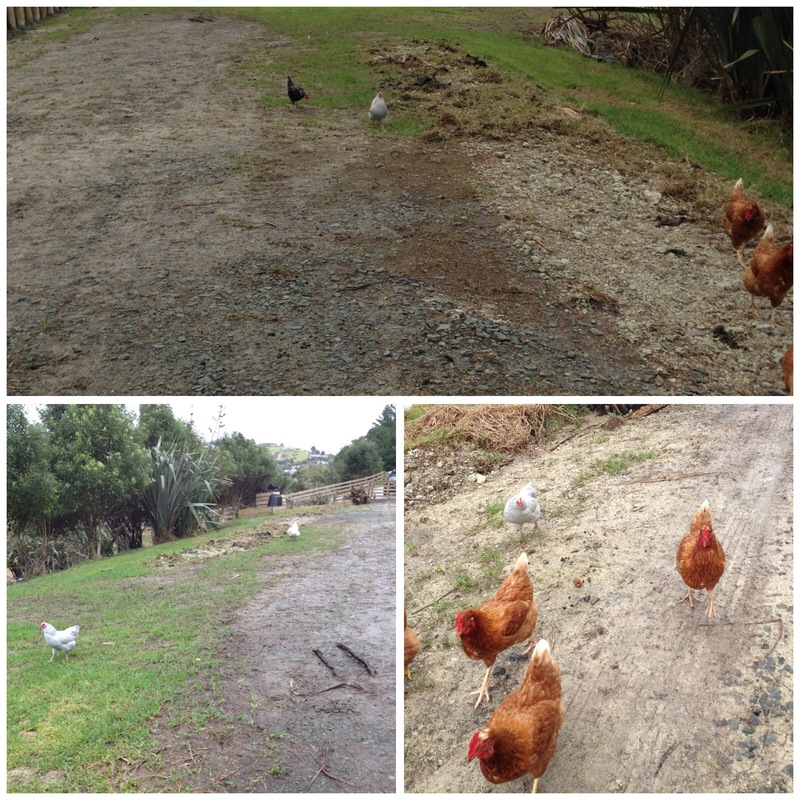 At the moment the sheep are also in the paddock next to the hen house, I am greeted like a long lost friend by them as well as they bleat their greeting to me and then race around to see if I have anything for them. As we had a wild and woolly night (did you see what I did there??) 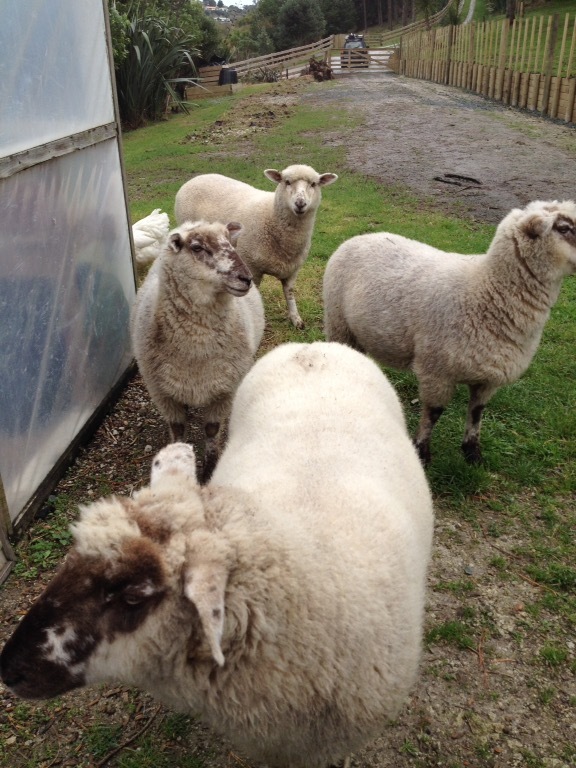 I felt for the poor things so I gave them some sheep nuts as a treat, mind you, they nearly bowled me over as I was leading them to the feed trays! Moving day for the sheep tomorrow, just think of me in my crinoline dress and bonnet with crook in hand hoping that I will not be like Little Bo Beep and lose any sheep! Roy and I have parted ways……for a few days! Wednesday morning and Roy took the van in to have the LPG tank removed whilst I headed across the city to Torbay to spend the night with Leslie which meant I could have a head start on traffic tomorrow morning for my journey north. Leslie cooked us a beautiful dinner of a slow poached chicken in a fragrant broth, it was delicious and I really appreciated it as I don’t have chicken that often as Roy doesn’t eat chicken, but that’s a whole other story. I left Torbay Thursday morning to meet up with Chris at Whakapirau to commence our housesitting stint whilst Roy remains in Auckland awaiting the refitting of the recertified LPG tank. He will hopefully be up here by early next week at the latest. 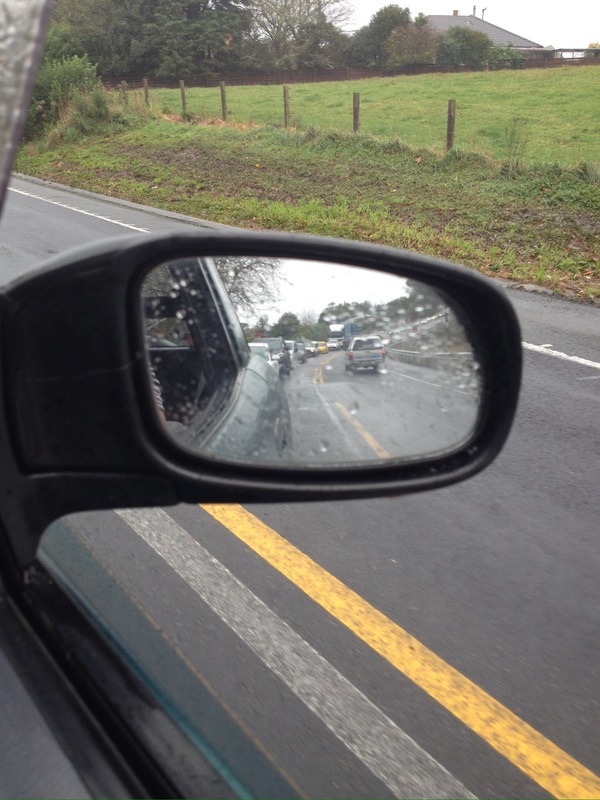 and then I came to a halt when I got stuck in this line of traffic just south of Warkworth. I arrived in good time for Chris to explain the intricacies of small holder farming life before he headed off. I must say it is VERY quiet here, once I have checked on the sheep, collected the eggs from the chooks and completed my minimal household chores I have plenty of time to catch up on all the knitting I need to do. Which is now lifting and looks promising to be a lovely fine day. On our way to Auckland the previous week for Judy’s funeral, we heard from Matt at AutoTech that our van would be ready to pick up that night. We had already planned to stay with Antony for the night so we said we would return to Kopu onFriday morning to pick it up which is exactly what we did. It was just a short drive to the Thames Golf course to park up for the night as it seemed a good idea to go to the Thames market on Saturday morning, which we did…….in the pouring rain! After breakfast in town, we were soon back at the van. 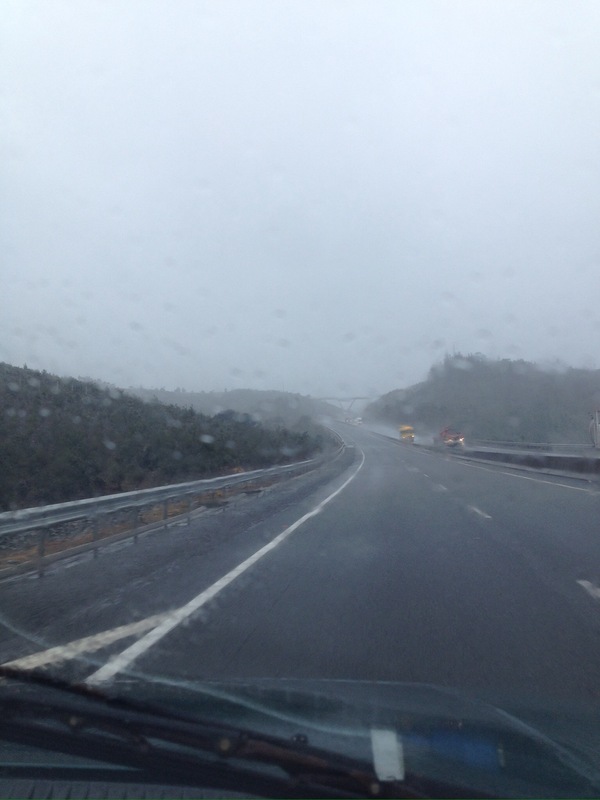 We decided that although the weather forecast was for gale force winds, rain, thunder and lightening, whilst the weather was reasonably ok we thought that to heck with it, we would make a dash for Auckland. 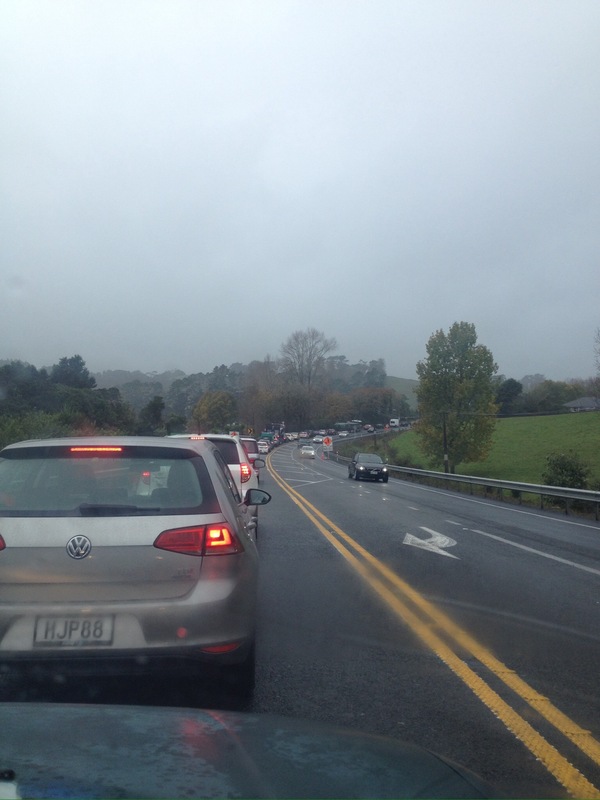 The drive was totally uneventful and we arrived at the Papakura Club and had just settled in when the heavens opened, the wind blew and the skies were lit with lightening and the roll of thunder. 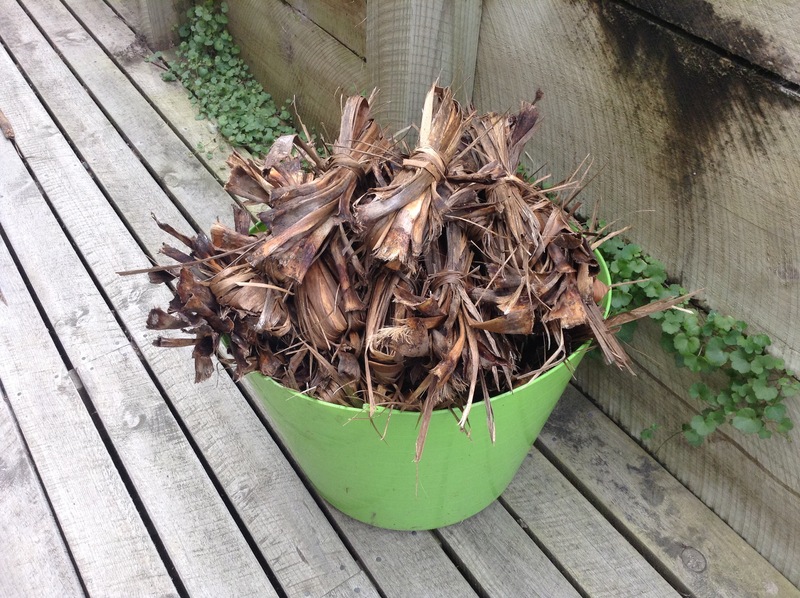 We have been attending to the more mundane chores of life since we have been here in Papakura. But of course it also means we get to spend time with Antony whilst we are here. We had originally planned to be here until Thursday before heading north but in the usual Vannini fashion, plans change, not just once, but many times. I think we are now onto version 2.4. but we will get there eventually. Doctors checkups and flu jabs have been completed, mail collected and sorted, I even managed to get a haircut. Shopping has been done, laundry caught up with but best of all the biggest job sorted, that being having our large inbuilt LPG tank re-certified. It has been a real problem trying to find and organise this to be completed. Oh, we could find a business that would re certify the tank, but no, they do not remove them from the vehicle but we locked a business locally and the process will commence on Wednesday. Meanwhile we have managed to catch up with friends and family, firstly with Bill & Linda, Bill & Estelle and Ron & Jan who all came to the club for dinner last week. We again caught up with Bill & Linda on Friday night at the club, and Jan called in a couple of days throughout the week for coffee and great conversation. This weekend in Queens Birthday weekend which means Monday is a holiday for those who work, Saturday we attended to chores with Antony. Sunday we managed to rack up a few kms, first of al heading over the bridge to Torbay to catch up with brother Steve & wife Leslie then later in the afternoon with their eldest daughter Sarahw & Shaun and their three boys. 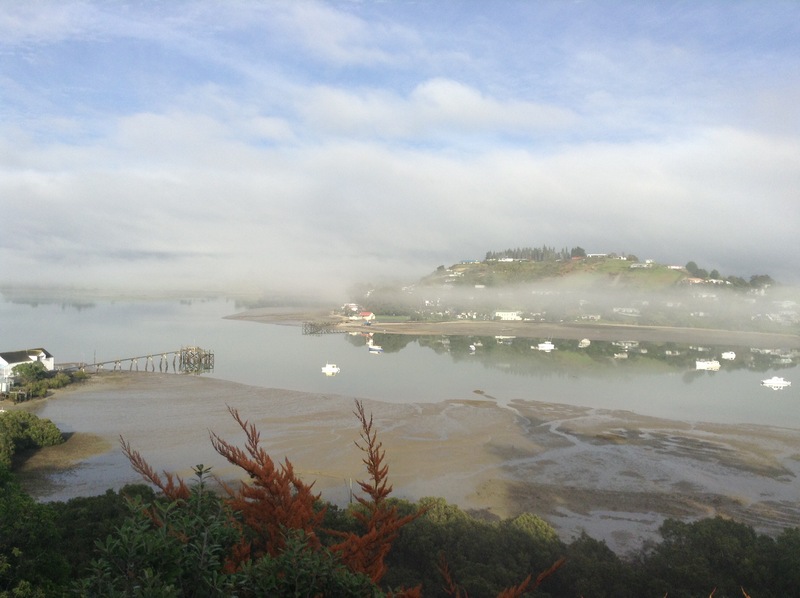 Then it was back over the bridge, drop Antony off in Papakura, then head out to Paparimu for a lovely dinner and evening with Ron & Jan before back to the van for the night. As per usual I did not take a single photo. 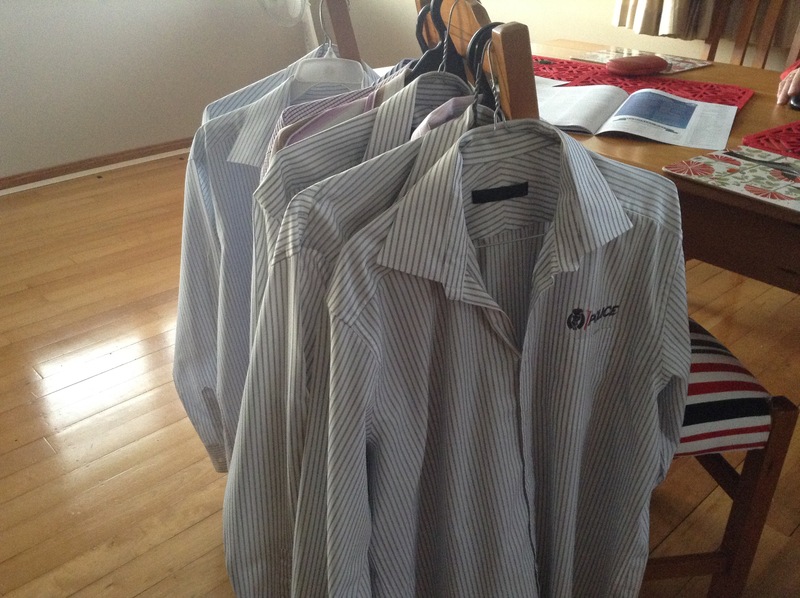 Ironing shirts….haven’t done many of them for a while now! We are now at Ardmore for a few nights before we make our way north.